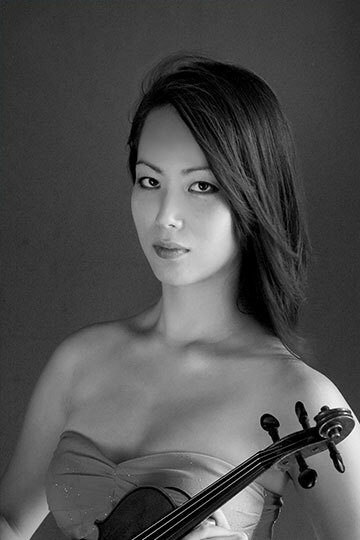 Sarah Ludwig began violin studies at the age of six with her father in her hometown of Atlanta, Georgia. She has appeared numerous times as a soloist with orchestras including Orchestra Atlanta, Southern Adventist University Orchestra, and the Ludwig Symphony. At the age of twelve she performed televised solo recitals in Chengdu and Beijing, China and shortly thereafter appeared as a soloist in Japan. Her musical studies have taken her all over the world, including Graz, Austria as a member of the American Institute of Musical Studies, Puerto Rico for the FOSJA Music Festival and more recently the United Kingdom and Moscow, Russia as part of the Houston Symphony on tour. She has attended many summer festivals including Encore School for Strings, the Meadowmount School, Blossom Music Festival, Norfolk Chamber Music festival, and Music Academy of the West. In addition, she has performed for a variety of shows including "From the Top" on NPR at the age of fifteen, popular shows such as Rod Stewart and Il Divo, several performances as a substitute violinist with orchestras such as the New World Symphony, Mercury, and the River Oaks Chamber Orchestra, and orchestral concerts at Carnegie Hall. She graduated from the Cleveland Institute of Music in 2004 with a Young Artist Diploma after starting studies there at the age of fifteen. She earned a Bachelor of Music degree from the Cleveland Institute of Music in 2007 and a Master of Music degree from Rice University in 2009. She is currently a member of the Houston Grand Opera and Ballet Orchestras and credits her teachers David Updegraff, William Preucil and Kathleen Winkler for her love of music.